Within a few years of its launch, Zerodha Pi has seen major upgrades with each update bringing in new features and digital advancements. There are, at the same time, few concerns as well that Zerodha needs to address on a regular basis to make sure the user experience of trading stays optimal. Some of the benchmark trading platforms Zerodha Pi can look up to include Trade Tiger from Sharekhan and IIFL terminal trading platforms. 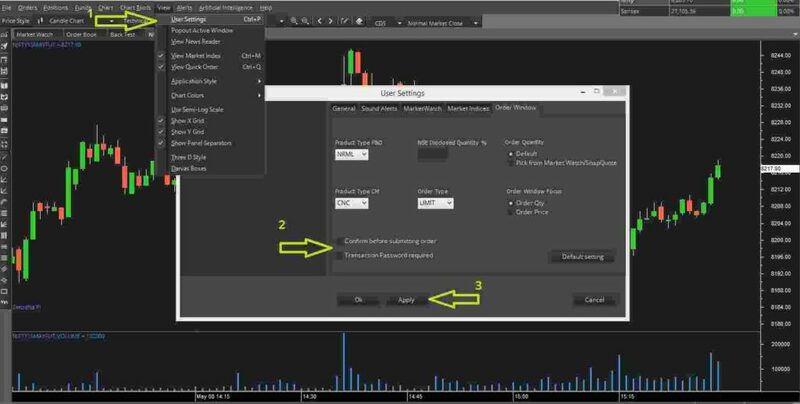 Advanced charting functionality with a provision of using up to 50,000 candles in a single chart with an option to change the timeline from minute, hour and daily options. Furthermore, you can change the duration to year-level as well. You can pull out intraday data for the last 365 days, Historial data for last 5 years to perform your analysis. This historical data is also available for equity stocks, derivatives, indices, commodity and currency segments as well. Direct order placement provision directly from the charts provided. 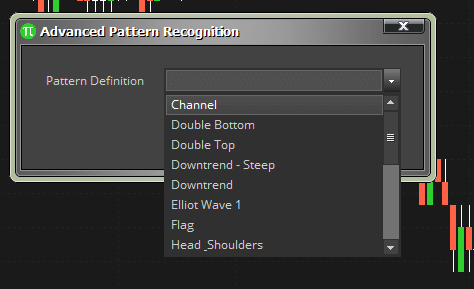 Pattern recognition feature allows clients to draw personalized patterns on the user interface. 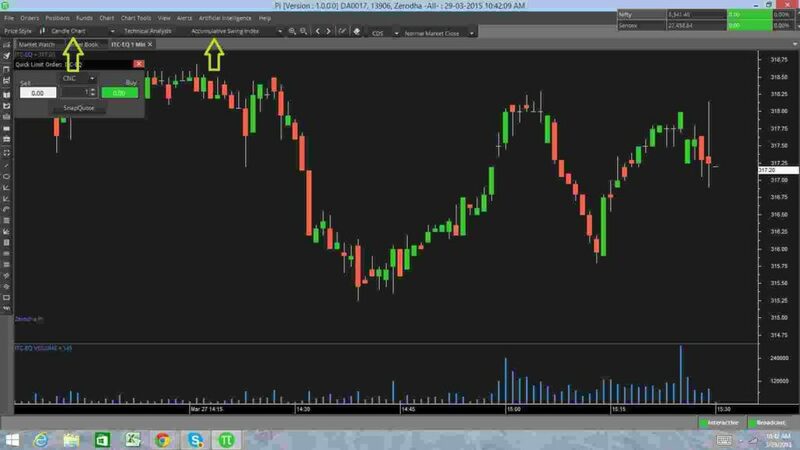 This can be done simply by drawing a pattern on the screen and the platform will look for similarity within the charts. 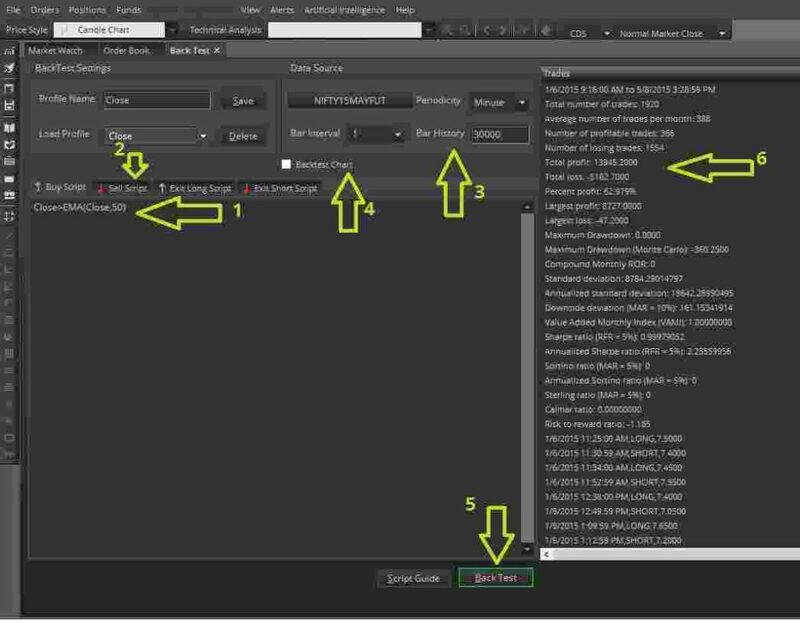 Advanced traders have the option to code advanced strategies using the scripting language. There is a provision to backtest these strategies within the tool itself. 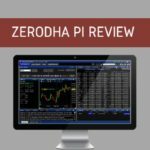 Apart from all the above-mentioned features, you also get access to Zerodha Pi Scanners. 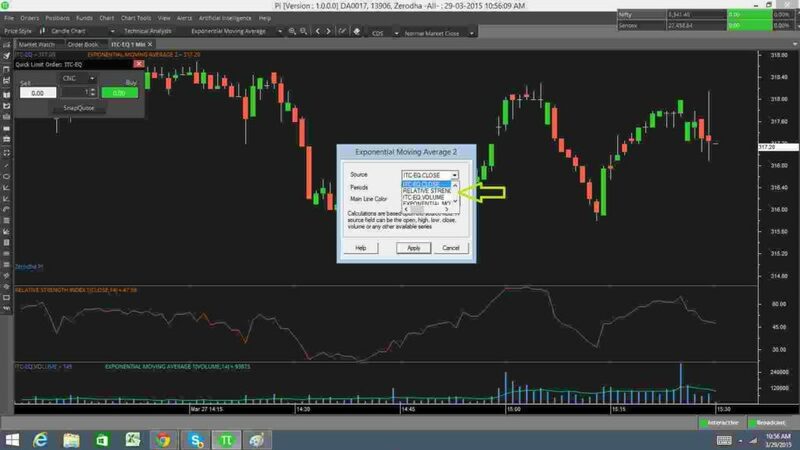 These scanners help the traders to set-up alerts and notifications based on some pre-conditions. With these alerts in place, you get a large number of opportunities to place trades in the stock market. 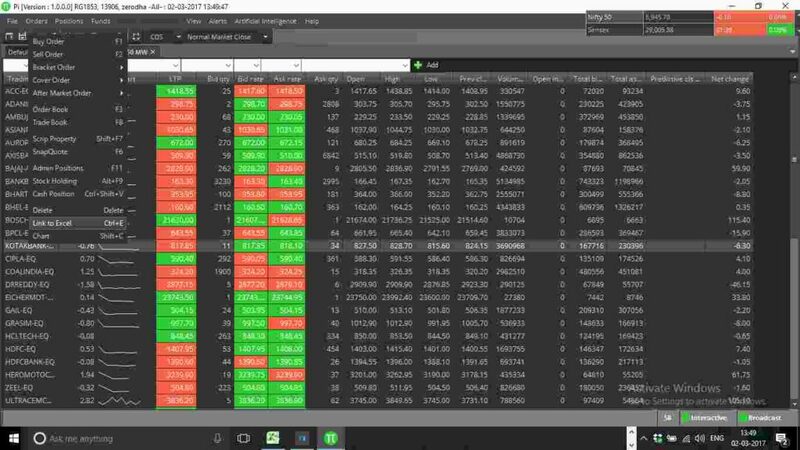 The tool also provides real-time trading signals from an automated back-end engine (no human experts). 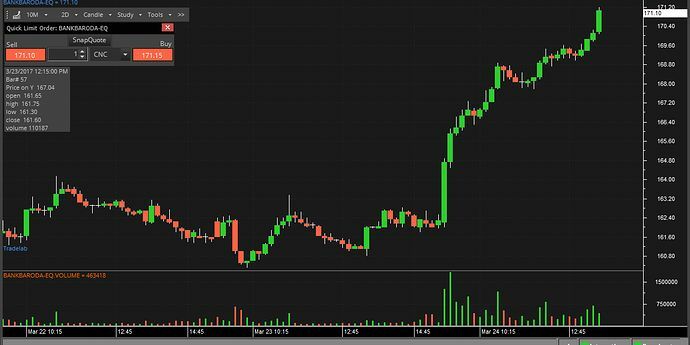 If you are looking to place an After Market Order or AMO, you can do so between 4:00 PM to 8:59 am for trading in Equity, by 9.59 am for commodity trading and 9:09 am for futures and options segment. The application provides you with algo-trading and AI-based optimization tools and a provision to integrate it with external softwares. 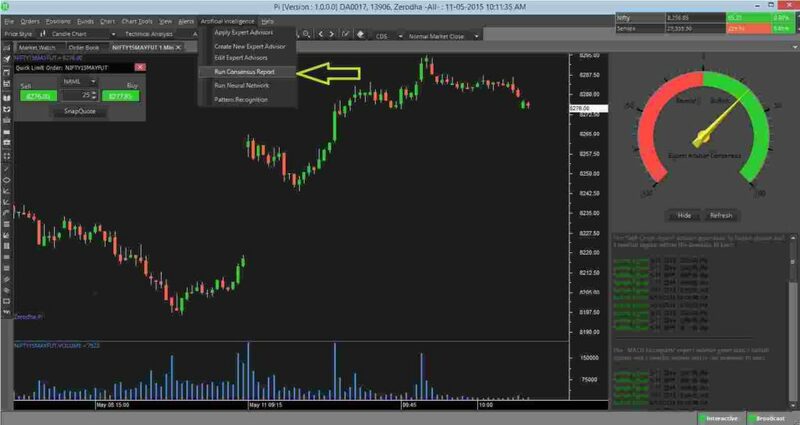 This set-up is directly beneficial to expert traders. 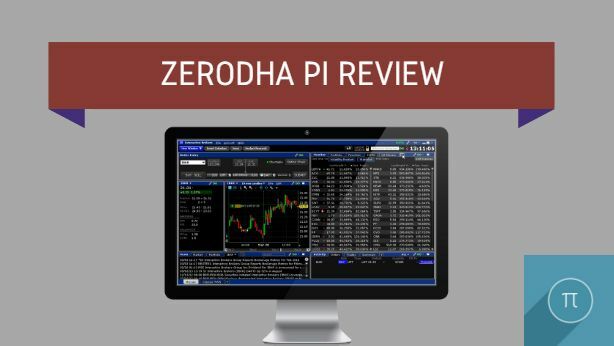 If you are looking to download Zerodha Pi, that can only be done from the broker’s website through the Q tool. 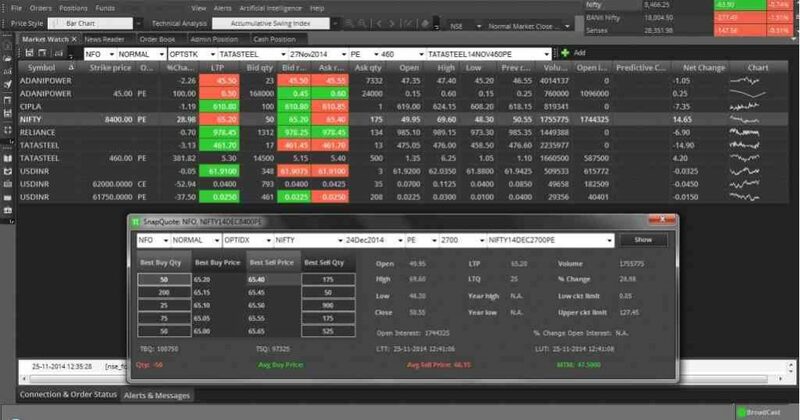 If you are a client of Zerodha, only then you are allowed to use this terminal based trading application. However, there are no charges levied on its usage. Stability is another concern that has been highlighted by some of the users of this terminal platform, especially when it comes to high-traffic situations and order submissions. You can place orders directly from the charts post analysis, which helps you to save time especially if you are into intraday trading. A wide range of features are at disposal for the trader, be it a beginner-level one or an expert. Easy fund transfer process and now with the introduction of the 3 in 1 account, this process will become even simpler. Looking to have a detailed understanding and discussion of a Demat Account?